Studies have been around for ages showing there is an intricate connection between your gut microbiome and your overall health. Our gut is made up of trillions of microorganisms and as research increases, our gut flora is thought to have a massive influence on health and disease. So, you know how you normally eat... How are you feeling about that? Improving the composition of your gut biome is the main concept behind the GAPS diet. So the GAPS diet is a therapeutic diet that focuses on healing leaky gut syndrome, reducing inflammation, and it can even treat certain neurological conditions. Basically, you swap out all of your refined carbohydrates and foods that are difficult for your body to digest. Eat some foods that are rich in probiotics and nutrients, and your gut health will improve. GAPS stands for Gut and Psychology Syndrome. The term was coined by Dr. Natasha Campbell-McBride, MD, MMedSci (Neurology), MMedSci (Human Nutrition) in 2004 after her work with hundreds of adults and children with neurological and psychiatric conditions. Grains, starchy vegetables, and refined carbohydrates are all eliminated from the diet and replaced with nutrient-dense foods that are easy to digest. The GAPS Diet meal plan has six stages. Stage 1 - the intro - is the most restrictive. As you progress, more foods are slowly sprinkled back into the food list. Nutrient-rich foods are priority number one. Eliminating food groups that make digestion harder is priority number two. There's limited research on the benefits of the GAPS diet, but there is no doubt that your gut health plays a significant role in your health. For right now, it's simply unclear how beneficial this diet really is. Despite lack of research on this diet specifically, plenty of existing studies look at individual components of this diet. Studies show that this diet may have a whole host of benefits. 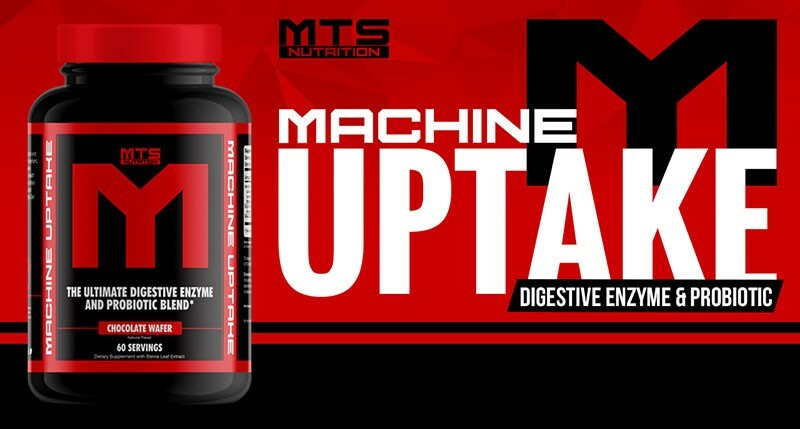 The MOST DELICIOUS and Effective Probiotic and Digestive Enzyme Supplement is HERE! Order now. Developed by Dr. Sidney Valentine Haas in the 1920s, the Specific Carbohydrate Diet was used to help treat digestive disorders. This is an elimination diet that removes many carbohydrate sources. Yeah, this means all of your grains, dairy products, most starches, and sugars. The reason you're doing this isn't to "lose 20 pounds in two weeks," it's actually to help your digestive system to heal. This diet is pretty restrictive - you're going to be cutting out many foods that Western culture normally enjoys. If you stuck with this, there are serious benefits to people who have compromised digestive systems. These include inflammatory bowel disease, Crohn's disease, and ulcerative colitis. Suffering from constipation or painful stomach bloating? Your gut flora is messed up. This diet could help pretty much everyone. The caveat is that unless you have severe digestive issues, you can consistently use the ideas of this diet to help improve your health and gut flora. You do this by eliminating your bullcrap carbohydrates, eat foods like vegetables for nutrition and easy digestion. If you ever wondered if "it's what you ate"... it is. The GAPS diet is based on some pretty sound studies. Autism is a developmental disorder that begins in early childhood and results in impaired communication and interaction with others. The research looking at the connection of the GAPS diet and autism is lacking, but here's something to consider. There are several studies that found certain dietary modifications could help decrease autism symptoms. These are included in the GAPS diet. In particular, eliminating gluten has shown favorable effects on autism. A study in 2016 compared the effects of a regular diet versus a gluten-free diet in 80 children with autism. The study found that the gluten-free diet was more effective in controlling autism behaviors and gastrointestinal symptoms. A smaller study in 2017 showed a gluten-free, casein-free diet helped reduce symptoms in children with autism. It's obvious that there is more research needed on the GAPS diet to get a grasp on its potential effectiveness, but that's just a matter of time. We all know that consuming processed foods and excess sugars causes our blood sugar to be high. The GAPS diet eliminates those grains, starchy vegetables, and refined carbohydrates. There are a lot of carbohydrates in them and they break down quickly into sugar in our bloodstream. The GAPS diet is lacking research on the effectiveness of the diet on blood sugar levels, but here are a couple of studies that show what moderating your intake of the carbohydrates we just talked about. It can have a big impact when you are trying to get to and maintain a healthy blood sugar level. One study showed a low-carbohydrate, high-protein diet helped improve blood sugar in those with type 2 diabetes. Another review in the Journal of the American College of Nutrition also shows that increasing your intake of refined carbohydrates is associated with developing diabetes. So the GAPS diet eliminates the carbohydrates that are associated with developing diabetes, and following a low-carb, high-protein diet can help you control your blood sugar levels if you have type 2 diabetes. Again, more research is needed. Your digestive system has a massive ecosystem of trillions of microorganisms. The health of that biome has a big influence on your overall health and could even impact your immune system. The GAPS diet recommends consuming fermented foods and probiotics - both increase the number of beneficial bacteria in your gut. This gut bacteria is believed to communicate with the cells of your immune system. This can alter and improve the way that your body responds to disease and infection. It promotes a generally enhanced immunity. Everybody has inflammation. Chronic inflammation, however, is linked to many types of chronic diseases. Cancer, heart disease, and diabetes being a few. Inflammation is a key component to those who suffer from inflammatory bowel disease and Crohn's disease. The GAPS answer to that is to eat anti-inflammatory foods. Eating antioxidant-rich vegetables, heart-healthy fats, fermented foods, and fish all are great for you. Research suggests that probiotics could exert an anti-inflammatory effect on the body. Since this diet has many beneficial effects on inflammation, it is a very effective treatment to those who have leaky gut syndrome. The GAPS diet is also known as the leaky gut diet. Several studies show that intestinal permeability may be linked to underlying inflammation. Reducing inflammation by making some dietary modifications can be a very effective way to prevent the signs and the symptoms of leaky gut syndrome. Research is out there that demonstrates how improving your gut health significantly impacts your mental health. In a 2017 review, 10 studies found that probiotic supplementation may be effective in reducing symptoms of depression. There's another study in the Gastroenterology journal that shows a specific strain of probiotics was associated with decreased depressive symptoms and an improved quality of life in 44 patients with irritable bowel syndrome. A study in the American Journal of Clinical Nutrition found that a higher intake of refined grains - the ones that are being eliminated in the GAPS diet - was associated with a higher risk of depression. Fruits and vegetables are in the diet; they are also associated with a decreased risk. Vegans and vegetarians will have a hard time meeting their nutrient needs since the GAPS diet is heavily based on animal products. Use the GAPS diet to improve your gut health, but follow what your healthcare provider says if you suffer from any of these conditions. This diet isn't intended to replace a traditional treatment condition for digestive disorders, autism, or depression - but there is a bit of study that makes it worth looking into. If you run this diet, get the most out of it by making other healthy lifestyle choices. Get some regular physical activity, get a routine sleep schedule and stick to it, and start minimizing your stress levels. I know it sounds like I'm trying to get you to exercise, but if you go for a walk when you are mad you are burning off that negative energy and will feel better than just stewing over it. The types of foods the diet promotes are all great. Everything that this diet promotes has studies that link to different benefits - the only problem is the diet itself has not had too much research on it. The GAPS diet aims to reduce inflammation, treat certain neurological conditions, and heals the gut. It does this by improving and healing your digestive system. The diet will remove the grains, starchy vegetables, and refined carbohydrates from your diet. They will be replaced with nutrient-dense foods that easily digest. Whether you start this diet or not, the ideas from this diet are great - eat less processed foods, get your gut flora in check, and choose nutrient-dense foods to eat. Previous article Eating Salt Boosts Weight Loss?